[Matt's Messages] "What the LORD Says"
Just fifteen sermons ago, the king in front of us was Kind David who was at the end of his life. 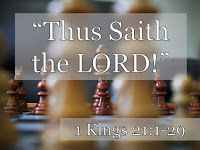 And then we got 12 more kings to study: Solomon, Rehoboam, Jeroboam, Abijah, Asa, Nadab, Baasha, Elah, Zimri, Tibni, Omri, and last and worst so far, King Ahab. That when these kings of Israel and Judah are at their best, they remind us of Jesus. And when they are at their worst, they reminds us of why we need Jesus. But we’ve learned more than just about kings in this book. We’ve also learned about prophets. Men, like Elijah, who speak the word of the LORD, the word of Yahweh to these kings. They speak for God, the word of God, to the powerful kings of Israel and Judah. And sometimes, the kings listen, and sometimes they don’t. But every time a true prophet of God speaks a true word from God, it comes to pass. 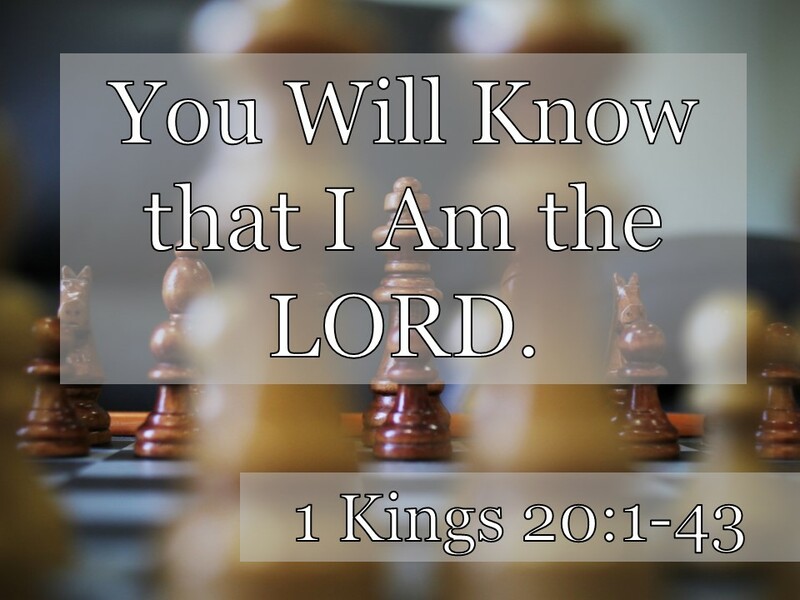 And that’s because the LORD is the main character in the Books of Kings. And we’ve been learning about Him. It’s easy to get lost in all of the details in the historical books of the Old Testament. Prophets, priests, kings, kingdoms. Who did what when and where. It’s hard to keep track of. And some of these stories have been pretty bizarre. Remember the guy whose hand froze? And the two guys on two different occasions who got eaten by lions? Today’s story is arguably the strangest in the whole book! But make no mistake, the point at the center of the Books of Kings is coming to know and worship the one true God, the LORD. These books are theological history written intentionally, creatively and carefully to teach us who our God really is. And we saw last week that our God is a speaking God. He wants to be known. And He tells us in both deeds and especially in words what He wants us to know about Him. We’ll see why in just a few moments. But you already know that this is vitally important to God. God speaks to us in His Word, and He wants us to listen...to what the LORD says. King Ahab was a six thumbs down kind of king for the northern kingdom of Israel. And from chapters 17 through 21, we’ve seen that that was not all! He and his wife tried to kill all of the prophets of Yahweh. And even after Elijah defeated the prophets of Baal all on Mount Carmel, Ahab and Jezebel were unrepentant and remained enemies of Elijah all of his days. In chapter 20, even after the LORD blessed him with two big victories over Ben-Hadad and the Arameans, Ahab still disobeyed the LORD and let Ben-Hadad go free. Last week, in chapter 21, he sulked and stood idly by while his wife defrauded an innocent man and stole Naboth’s land and his life! Again and again, we’ve been told that Ahab was going to suffer the judgment of God. And so far, the LORD has been incredibly patient and longsuffering in bringing that judgment to pass. Last week, He even announced a delay, a postponing, of that judgment because Ahab had experienced some true remorse and humbled himself. And this time, Ahab’s number is up. It all begins with a visit from the other king. The king of Judah. This takes place three years after, I think, the last battle between Ahab and Ben-Hadad. Not three years since Naboth’s vineyard. Three years have gone by since Ahab granted clemency to Ben-Hadad and let him go. And now he’s regretting the deal he made. He never demanded to get Ramoth Gilead back from Aram. And three years have gone by and nothing else has been done. He doesn’t feel strong enough to do it on his own, but he’s on good terms right now with his southern kingdom counterpart, King Jehoshaphat. You know, we haven’t heard anything about the Southern Kingdom for like 6 chapters. The focus has been on the North. We’ll get some more Judah stuff, including who Jehoshaphat was later on in this chapter and more in Second Kings and Second Chronicles. His name means, “Yahweh has judged.” And he has been on pretty good terms with King Ahab. Their families actually have intermarried. So Ahab invites Jehoshaphat to form an alliance and go to war with him against Aram to win back this section of Promised Land called Ramoth-Gilead. Which is the right thing to say. It’s a good idea. But you wonder if he has really been paying attention to whom he’s dealing with. Does Ahab have a reputation for listening to the word of Yahweh? Now, who are these prophets? It doesn’t say. They don’t appear to be prophets of Baal or Ashtoreth. One of them is going to prophecy in the name of Yahweh in just a minute. It just doesn’t tell us. My best guess is that these are guys left over from the cult of Jeroboam. They aren’t really prophets of anybody except whoever the king wants them to be prophets of, the LORD if it’s expedient. It’s interesting that there are 400 of them. Just like there were 400 prophets of Baal on Mount Carmel. Because this guy never says anything that Ahab wants to hear. Do you ever go looking in your Bible for a second opinion? Another option? Thomas Jefferson did that. He cut out all of the verses he didn’t like out of his copy of the Bible. Our Link Group learned last week about a guy from church history who did that with whole books of the Bible. His name was Marcion. I don’t like that. I don’t like that. Snip, snip. I don’t like that. I don’t like that. Ahab doesn’t want the truth. Not if the truth hurts. Do you wonder why Micaiah never prophesies anything good about Ahab! But he calls for him anyway. Whoo! They even have props! Zedekiah makes these iron horns and waves them around and pretends to gore Ahab’s enemies. But the LORD never said any such thing. These guys, all 400 of them, are all saying what the kings want to hear. But they are not saying what the LORD says. And this is where Micaiah shows up on the scene. That’s point number one today. Only What the LORD Says should be preached. Only what the LORD says should be taken as gospel. Only what the LORD says should be what we build our lives upon. Not the word of these other people and certainly not whatever we want to hear. But ONLY what the LORD says. That, by the way, is the definition of good preaching. This last Summer, I taught a preaching class with Hunter Galley and few other guys each week. And you could have summed up each class with verse 14. Make sure you tell them only what the LORD has said right here in His word. Don’t tell them what they want to hear. Don’t tell them what you want to say to them. Tell them what God has said. Only that is worth building your life on. There is a lot of pressure out there to transform and conform our message to all kinds of other messages out there. The apostle Paul said that this would happen. And not just for professional preachers like myself. The pressure is on all of us to trim the truth of the Word of God and adjust it to fit what others want it to say. What others want to hear. Don’t give in. Keep your head. Where are you tempted to conform to the world and tell the others what they want to hear? I’ll bet there are a lot of different answers to that question in this room. Can you own up to it? Can you see your own temptation to trim the truth and say what the itching ears want to hear? For some of you, it’s about the exclusivity of Jesus Christ. The world wants us to say that there are many ways to God whatever God is. But we must say that Jesus is the way, the truth, and the life and no one comes to the Father but by Him. Maybe that isn’t hard for you. Maybe it’s something else. These days sexuality is the big thing. The world wants us to say certain things are fine and dandy that the Word of God says are not okay. Maybe you’re tempted to give in and go along. I feel this every week in my ministry. There are things that I feel like some of you want me to say from this pulpit that I do not think are God’s Word. And there are things that I want to say from myself that seem right to me and good to me. But they are not in here. My job is to say only what is here. Only. Say that and only that. Live on that and only that. All of a sudden it seems like the prophet is lying and the king is saying that he has to regularly talk him into telling the truth. I think that what we are missing is the tone of voice of both of them. I think that Micaiah is sarcastic and that Ahab is frustratedly sarcastic right back. Let me read it again to you with those tones of voice. How many times are you going to do your little act? I’m getting tired of it. I think that’s what’s going on. Micaiah is sarcastically saying what everyone else has said, and it’s obvious that he’s pulling Ahab’s chain. So, he’s actually saying the opposite. How’s that for a hard truth? “I don’t like what I’m hearing here! Is this what I pay you for? Why is it always bad news, bad news, bad news for Ahab? Notice that he’s not listening. This prophet just told him that he’s going to die, and all he can do is complain about the messenger. Woe to you and me if we fail to listen as well to what the LORD says. Ahab does not, will not, listen. And so God allows more lies to seep into his ears. Now, that’s some weird stuff. We don’t normally think about the LORD sending lying spirits out. That doesn’t seem to be the business He is in. We know from the life of Saul that the LORD can use even evil or troubling spirits to do His perfect and holy will. They have to obey the King of Kings. They obey Jesus, don’t they, in the gospels? The point of this story, however, is not to give us a sense of what normally goes down in the divine throne room, but point out that Ahab does not listen. Ahab does not want what the LORD says. He will not listen to what the LORD says. We may not understand how it all works, but this heavenly scene does not indict Yahweh. Ahab is just getting what he wants. He wants a lie. He has fed off of lies all of his life. And lies are what he wants even to the end. Of course, there is no real deception going on here. The LORD is revealing the truth through Micaiah and even telling Ahab that he’s being lied to by the others. But (v.23), “The LORD has decreed disaster for you.” And it’s coming through the very appropriate means of those lies that you have loved for so long. “Then Zedekiah son of Kenaanah went up and slapped Micaiah in the face. ‘Which way did the spirit from the LORD go when he went from me to speak to you?’ he asked. The proof is in the pudding. We shall see. We shall see. And watch what Ahab does next. He tries to avoid what the LORD said. I guess Jehoshaphat would think he was being honored to be the only king out there and getting all of the glory. Verse 34. Best verse in the whole chapter. Everything that the LORD says comes to pass. Everything the LORD says is what is true. Everything the LORD says is certain and trustworthy and reliable and sure. The LORD had said that Ahab would die in battle that day. And Ahab had chosen to go into battle that day. No disguise could save him. No fancy armor could save him. No trick or precaution or defense could save him. Because the LORD had said that he would die. It was effortless for the LORD to do it. He used a random bowshot. But this arrow did not land in Longfellow’s oak. It landed in Ahab’s body. Because of what the LORD said. V.38 again. Everything what the LORD says comes to true. Verse 39 tells us that Ahab was a pretty successful king by worldly standards. But it doesn’t matter because he didn’t love and trust what the LORD says. Everything the LORD says comes true. I know that you know that. But this story is here to bring it home to our hearts. Every promise that He makes is true and faithful and trustworthy. And so is every threat. Do we believe everything He says? Do we build our lives on it? Ahab didn’t. He didn’t love what the LORD says. But that didn’t stop what the LORD says coming true. It just made it painful for him. 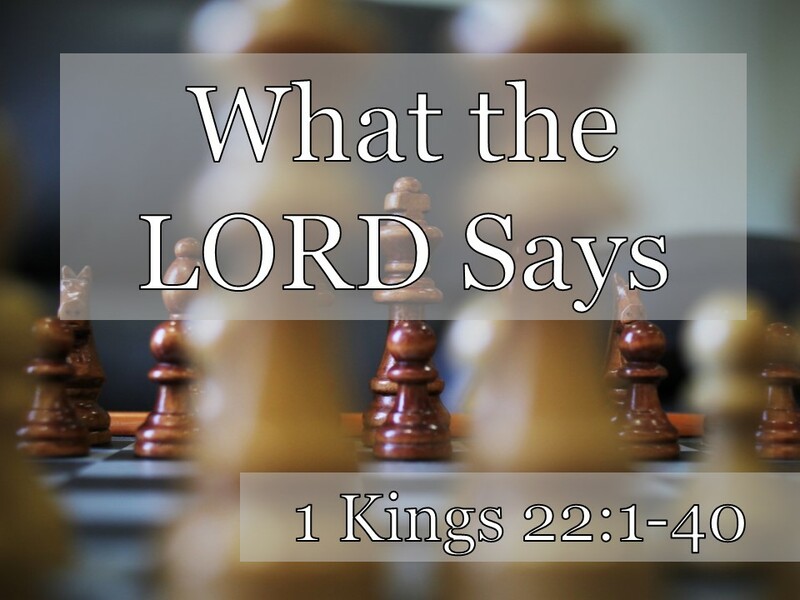 Are we building our lives on what the LORD says? Or what we want Him to say? If you are not a believer in the Lord Jesus Christ, I invite you to turn from your sin and trust in Him now. Trust in His promise to save all who will put their faith in Him. Here’s what the LORD says: to all who receive Him, to those who believe in His name, he gives the right to become children of God. And if you come to Him, He will in no way cast you out. If you have received Jesus as Savior, keep building your life on His words. Everything that the LORD says will come true. That’s a firm foundation to stand on. When the trials come and they will come. That’s a rock that will not fail. Brent's comment was, "I'll be mad if I don't win." So I'm glad we dodged that bullet! Send me your mailing information, Brent, so that we can get you your book. And thank you to New Growth Press for sponsoring this contest! [Matt's Messages] "Thus Saith the LORD!" Our series is called “The King of Kings in the Books of Kings,” and we’re almost done with the first book of kings! By next week, we’ll probably have it all wrapped up. In this first book of kings, we’ve been introduced to a whole bunch of kings both good and bad. And while we’ve been learning about Ahab, the focused shifted for about 3 chapters away from the kings and onto a particular prophet: Elijah. We learned about the days of Elijah who was a man just like you and me and whom the LORD used in a mighty way to reveal that He is God. And then, last week, the focus shifted back onto King Ahab. Was King Ahab thumbs up or thumbs down? We’ve been calling him 6 thumbs down. He was the absolute worst so far. The LORD has prophesied his downfall. And we learned last week that these last 3 chapters of 1 Kings are about the Last Days of Ahab. Last week, in chapter 20, the LORD helped Ahab win two big victories over Ben-Hadad his Aramean armies. But Ahab went home a sore winner, sullen and angry because he had disobeyed the command of Yahweh to dispense justice on his enemy. And the LORD had called him on the carpet for it. This week, we see the same sullen and angry Ahab, the spoiled brat of a king who does what is wrong when he doesn’t get his way. And we see once again how the Lord responds to Ahab. And when we see God’s response, we get to know God better. Last week, the message was all about how the Lord wants to be known. He wants us to relate to Him, to know Him. He doesn’t want to be the best kept secret in the universe. He wants us to know Him and to make Him known. And we know that because our God is a speaking God. He doesn’t stand aloof and alone above all things and silent. He tells us through His actions and His words Who He really is. I’ve always wanted to call a sermon that. That phrase appears over and over again in our Bibles, but I’ve never used it as sermon title before. The reason I picked it for today is that it occurs twice in the key verse of this chapter, verse 19. Our God is a speaking God, and when He speaks, He tells us Who He really is. Our story begins at the ancestral land of a man named Naboth. Naboth appears in the Bible in just this chapter and a follow-up to this chapter in 2 Kings 9. Naboth was an honorable man who had the distinct misfortune to own some land adjacent to a royal palace belonging to Ahab in Jezreel. It was a “misfortune” for Naboth because weak and wicked King Ahab wanted his land. Let’s read about it. 1 Kings chapter 21, verse 1. Now, if Naboth wanted to sell that land, this was a pretty good offer. Ahab obviously wants it badly because he’s got generous terms. Name your fair price, he says. But Naboth does not want to sell this land, and in fact, feels that it would be an affront to his family name. This land was probably allotted to his family during the conquest under Joshua. Remember that at the end of Joshua when they doled out the land to the tribes? Ever know anybody like that? Every been somebody like that? I know I have. Those words “sullen and angry” in verse 4 are the exact same Hebrews words from last week’s chapter 20, verse 43. Do you know anybody that is sullen and angry? Do you have to live with them? Are they are your friends (so to speak) on social media? It’s a really ugly response to disappointment in life. When we get like this, we feel all righteous and put-upon. We don’t think about justice. We don’t think about others. We just think about ourselves. And what we want. He might not have sounded like that in his voice, but that’s what it sounded like in his heart. Wanting what someone else has. Greed. Envy. Ahab was consumed by covetousness. Notice that this is all about a vineyard! Just a piece of land. And look how tied in knots Ahab is over it. But it gets worse. Jezebel does not respect the law of Moses. So she wrote letters in Ahab's name, placed his seal on them, and sent them to the elders and nobles who lived in Naboth's city with him. In those letters she wrote: ‘Proclaim a day of fasting and seat Naboth in a prominent place among the people. Ahab won. He got what he wanted! They pulled off the crime. And all it took was sending out a few little letters. This is true injustice, right here. It’s wrong and foul and bad. And God let it happen that day. We see a lot of injustice in the world today. Sometimes, it’s hard for us to recognize or adjudicate, but other times, it’s blatantly obvious. And most of us here have experienced injustice on some level ourselves. Something bad has been done to us, and it seems like the perpetrators got away with it. And it might seem like God does not care. After all, He let it happen. Injustice is real, and followers of Jesus Christ can expect to experience it. The Apostle Peter told us that experiencing injustice is normal for Christians. Normal. He said to persecuted Christians, “Dear friends, do not be surprised at the painful trial you are suffering, as though something strange were happening to you” (1 Peter 4:12). It’s normal. It’s not strange for Christ-followers to get a raw deal. Our Lord did. Our Lord Jesus experienced the greatest injustice of all time. Like Naboth, he had false witnesses stand up and accuse of Him of things He never did. Jesus knows injustice. On a human level, the Cross was the height of injustice. So don’t be surprised if it comes your way, too. But don’t believe for a minute that God does not care. “Then the word of the LORD came to Elijah the Tishbite [Boom! Elijah comes back on the scene. ]: ‘Go down to meet Ahab king of Israel, who rules in Samaria. He is now in Naboth's vineyard, where he has gone to take possession of it. “I am righteous. I love justice. I know what is right and what is wrong. And I care about it. I care about justice. I love justice. And I will bring justice. Do you see how verse 19 is saying that? The LORD sends Elijah all the way to Jezreel to deliver this message. Look at verse 19 again. “I know what happened. I know that it was wrong. And I care about justice.” v.19 again. Now, that’s gruesome, but it’s a promise of justice. Because it’s hard enough to live in a world that is unfair and inequitable and unjust temporarily, but it would be utterly maddening to know that God is like that, too. God is just. That’s Who He is. You might have to wait. Maybe what seems like a long time. Maybe until after you die, but justice is coming. The Lord is just. Isn’t that good news? You can trust in His judgment. His timing may be different than yours or mine, but it is perfect. Don’t interpret the delay in getting justice as God’s indifference to what is right. He cares. And He will act. We’re going to see this verse come true right before our very eyes next Sunday. That should encourage us if we are going through a period of persecution or mistreatment. It should also cause us to ask ourselves if we are just. If we love justice ourselves. I think of these leaders at Jezreel. Nobody blinked. They just mindlessly did what the Queen asked. And nobody stood up for poor Naboth. They just stood there and let him die. Do you and I love justice? It might seem right now like Al Qaeda or ISIS or (some other radical Islamic terrorist group) is getting away with murder. Quite literally. But they are not. The LORD is just. And more than that. He is jealous. Most of those verses just say that justice is coming and spell it out a little bit. But that last verse shows the deepest injustice, the greatest wrong that Ahab committed. It wasn’t theft and it wasn’t even murder. It was idolatry. God hates idolatry. It’s the greatest injustice because God truly deserves all of our worship. So when we give it to idol, we are committing a travesty of justice. The first and second commands in the Decalogue, “You shall have no other gods before me. You shall not make for yourself an idol in the form of anything in heaven above or on the earth beneath or in the waters below. You shall not bow down to them or worship them; for I, the LORD your God, am a jealous God, punishing the children for the sin of the fathers to the third and fourth generation of those who hate me, but showing love to a thousand generations of those who love me and keep my commandments” (Exodus 20:3-6). Ahab’s worst sin was not theft or murder. It was leading the people of Israel to worship false gods. Of course, that always leads to things like theft and murder! But it’s the heart of the matter that we raise other things in our hearts above our Lord God. It doesn’t sound good to our ears that the LORD is jealous. But think about the opposite. Think about what if God didn’t care whether or not we loved and worshiped and related to Him? If He was indifferent to His glory. What if God, the most glorious being in the universe, stopped caring about the most important thing in the universe? And He is jealous for our hearts. He wants to be first our hearts. Imagine if He didn’t care about your heart or my heart? If He didn’t care if David had a heart for the heart of God? That’s not the God of the Bible. The God of the Bible is a properly jealous God. Jealous for all the right reasons and in all the right ways. He wants to be first in your heart and mine. Or has something crept in there to occupy the place where He belongs? Is there some idol of the heart in your life that needs to be toppled? Just about anything could become a false god for us today. Money, popularity, entertainment are ones that we often point to. But safety, security, comfort–those can be idols, as well. Who or what runs and rules your life? Answer that question honestly, and you’ll know Who your god is, for good or ill.
Ahab allowed gods named Baal and Ashtoreth to run and rule his life. Ahab allowed Jezebel to run and rule his life. Ahab allowed his greedy desires to run and rule his life. Is this some kind of an act? No, it doesn’t last. It’s only temporary. He goes back. Perhaps we should say that it wasn’t repentance, but it was genuine remorse. Serious remorse for his sin. This, my friends, is Ahab’s best moment. Chapter 21, verse 27. Ahab humbled himself. And what does God say about Himself? The LORD shows grace and mercy to humbled King Ahab. When you read verse 29, does it kind of get under your skin and make you feel a little off kilter? Of course He does. He just said all of the bad stuff that was going to happen to Ahab because of justice. But now He does this? I think we’re supposed to feel that. Because grace is not fair. Mercy is not fair and equitable. Grace is giving someone what they do not deserve. Or you don’t know what your salvation is. Because it was at the Cross where God’s justice and grace met and mingled perfectly and bring us salvation. You don’t want a God who is all justice and no grace. Because what perfect justice demands you and I cannot meet. Only Jesus can and what He did for us on the Cross. Have you come to trust in Jesus Christ for the forgiveness of sins? He is gracious. He died on the Cross for justice, to meet the demands of perfect divine justice for ours sins. But because He’s done that, we can experience His grace. We don’t deserve a second chance. But if we did, it wouldn’t be grace. I invite you to trust in Jesus as your Savior and Lord. And to put Him first in your life. Because He’s jealous for you. What did Micah tell us that Lord wants from us? You don’t deserve it, but He loves you. Trust Him, love Him back, serve Him, put Him first. Believe in His justice and His jealousy and His graciousness. Trust everything He says about Himself. Because that’s Who He really is. 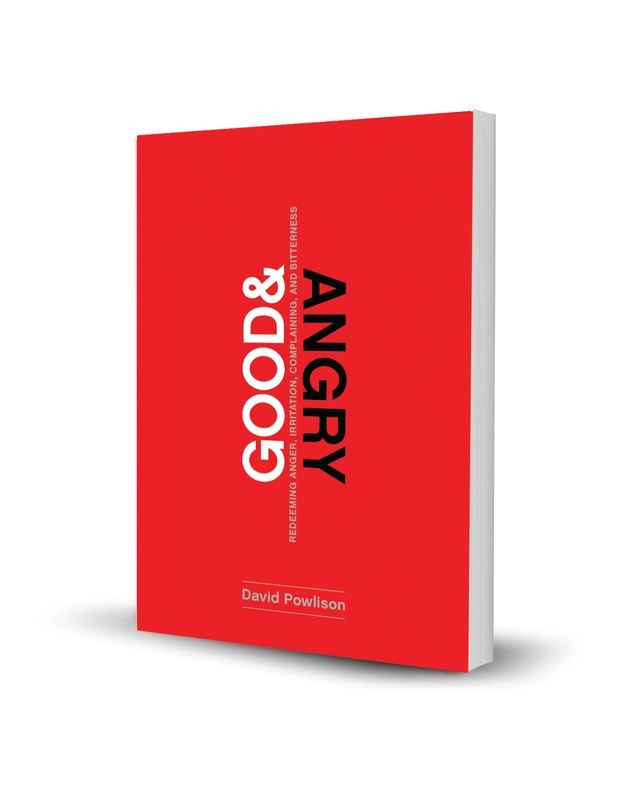 It's hard to communicate how excited I am about this brand new book from David Powlison, Good & Angry, which officially releases on Monday. I've been waiting 15 years for this book! 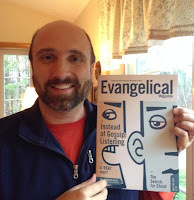 Ever since I learned of the ministry of CCEF and the Journal of Biblical Counseling, I've been reading the excellent (though sporadic) articles that David has written on this difficult subject, and I've also heard him teach on it in person. And for all of those years, he's been promising a book-length treatment but has been providentially hindered from producing it. 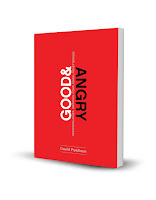 But now in 2016, Good & Angry has finally arrived! I haven't finished reading it, but I can already tell you that it's very good. David has a unique way of seeing and saying truth. He's both feisty and humble at the same time. He captures both the essence of anger and all of its contours. I think Andy Naselli nails it in calling David "the Yoda of biblical counseling," David is one of the wisest people when it comes to understanding how people tick and how the Word of God meets and changes them [I've been learning from and quoting him for years and years!]. You can also increase your chances of winning by posting about this contest on your social media page (FB, Twitter, Blog, Pinterest, etc.). 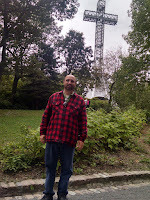 Just send me an email or leave a comment with the link so that I know that you've expanded the reach of the contest. For each time you link to the contest, you get your name added to the hat one more time (limit of 7 chances, the contest ends at 12am EST on Wednesday night, September 21st). But if you can't wait, order your copy today! 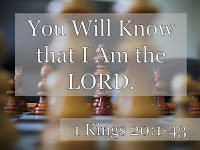 [Matt's Messages] "You Will Know that I Am the LORD"
If I were a betting man, I’d be willing bet that most if not nearly all of us here have never heard a sermon on 1 Kings chapter 20. Most of us have heard multiple sermons on 1 Kings 18 where Elijah confronts the prophets of Baal on Mt. Carmel, and the LORD sends the fire and the rain. And a good many of us have heard a sermon or two on 1 Kings 19 where Elijah was discouraged because it seemed like his victory on Mt. Carmel had not changed a blessed thing. Ahab and Jezebel were still worshiping Baal. And Jezebel still wanted Elijah dead. And yet, as we learned last week, the LORD was still God. And He encouraged Elijah with both power and gentleness that He was still working and still faithful to all of His promises. But most of us have never heard a sermon on 1 King chapter 20. We’ve all read it when making our trip through the whole Bible, but it often feels like a story to just get through on your way to the good stuff. It’s a little hard to follow. The characters do stuff that you don’t expect or understand very easily. And there’s another guy who gets eaten by a lion. It’s a story full of surprises. You don’t always know what to do with it. But it’s a story worth spending some time in. It’s in God’s Word, so you know it’s inspired. You know it’s useful for teaching, rebuking, correcting, and training in righteousness. It’s worth some meditation and some digging into. What I noticed especially this week, as I studied it, was the desire of the LORD to be known. There’s this phrase that occurs twice, both times on the lips of the same prophet, when he explains why the LORD is going to do something. Not just that we know that there is a God out there somewhere. But that this God wants to be known as God. He does not want to be a secret. He wants to be revealed. He desires to be known, and His actions will bear that out. 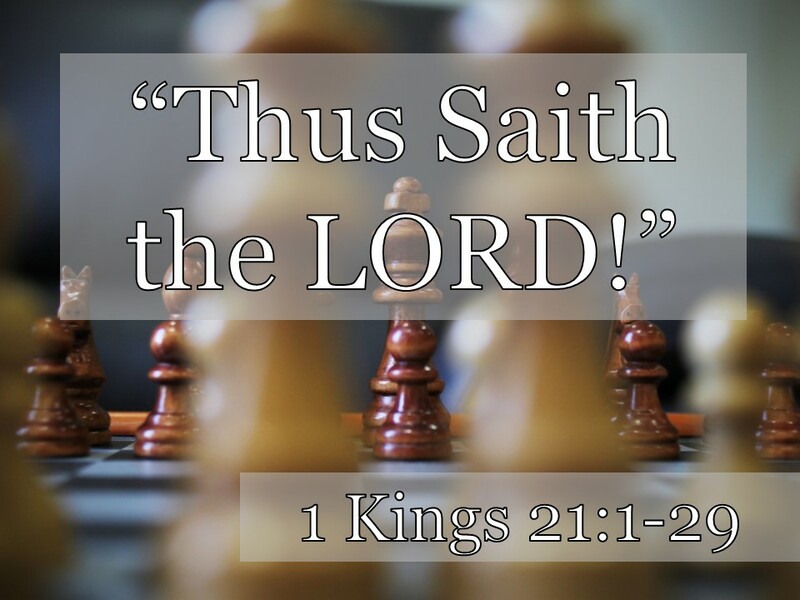 Now, the focus shifts in these last 3 chapters of 1 Kings from the prophet back to the king. From the prophet Elijah (who doesn’t even show up in this chapter!) to the King named...who is the king right now in Israel? This was the worst king so far in a very disappointing list of bad kings. The focus shifts in these last 3 chapters from the days of Elijah to the days of Ahab. And at the risk of spoiling the story for you, I’ll share that these are the last days of Ahab. I think that, in large part, chapters 20 and 21 are there in our Bibles to make the case for the downfall and death of Ahab. Not that you and I have much question about whether or not Ahab should go down, but the LORD seems to think it’s important for us to know the details. Because, as we do, we get know Him better. But that doesn’t mean it’ll be a straight downward line. No, in fact, there are a number of unexpected twists and turns in this story. Hang onto your hat! The first twist is that in chapter 20 the LORD fights for Ahab! That’s surprising, isn’t it, after what happened in the last 2 chapters? 1 Kings chapter 20, verse 1. “Now Ben-Hadad king of Aram mustered his entire army. Accompanied by thirty-two kings with their horses and chariots, he went up and besieged Samaria and attacked it.” Stop there for just a second. We’ve met a king named Ben-Hadad before in chapter 15. This is probably his son, perhaps his grandson. So he’s Ben-Hadad, Jr. or maybe B-H the third. He is king of Aram which is a people group that settled in the region of Syria north of Israel. He was the most powerful king in Syria at the time and the leader of a coalition of other kings from all around that same region. Last week, the LORD told Elijah to see that his successor, Hazael, is anointed, but that hasn’t happened yet. Ben-Hadad is king of Aram and he’s on the warpath. He’s invaded Israel and has attacked Ahab’s capital city. I think that shows us a little bit of what Ahab was like. Now, I think that what’s going on here is that Ben-Hadad is asking for tribute and loyalty. That Israel would become a vassal-state under the overrule of Aram. These wives and children and silver and gold are tokens of their new allegiance. I want everything you think you’re hiding. And that’s too much for Ahab. He was willing to part with some wives and children and little bit of protection money. So he replied to Ben-Hadad's messengers, ‘Tell my lord the king, 'Your servant will do all you demanded the first time, but this demand I cannot meet. '’ They left and took the answer back to Ben-Hadad. Now, what you do you think is going to happen? Up till now, Ben-Hadad has been the winner in every contest. He has a massive army. And we all know what kind of an evil wimp King Ahab is even though he talks a good game. What do we expect? We expect a slaughter coming on. But God intervenes. Verse 13. Why would the LORD send a prophet (apparently not Elijah, so there are other prophets of Yahweh during this time period, why would the LORD send a prophet) to tell Ahab that He was going to beat the vast army of Ben-Hadad? I’ll tell you this–it’s not because Ahab deserved it. It’s not for Ahab’s glory. It’s so that the LORD would be known. V.13 again. Does that phrase sound familiar to you, at all? It shows up several places in the Old Testament, but the place where it gets repeated again and again is to Pharaoh in the book of Exodus. He does not want to be disregarded. He does not want to be neglected, missed, or overlooked. He’s going to show up and fight for Israel, not because Ahab deserves it, but because God wants the glory. He wants to be known. Now, Ahab almost doesn’t know what to do with this. This is the first time in a long time that a prophet of Yahweh has brought him good news! That never happens! Elijah is always bringing doom and gloom and shutting off the rain. “‘But who will do this?’ asked Ahab. The prophet replied, ‘This is what the LORD says: 'The [newbies, the] young officers of the provincial commanders will do it. '’ ‘And who will start the battle?’ he asked. The prophet answered, ‘You will.’ [Okay, it’s worth a shot. My big mouth has gotten into this, what do I have to lose? V.15] So Ahab summoned the young officers of the provincial commanders, 232 men. Then he assembled the rest of the Israelites, 7,000 in all. And you can tell all of a sudden how this is going to turn out! Why? Because the LORD wants to be known. Not disregarded, neglected, forgotten, but known. And that’s true today, as well. The world loves to disregard the Lord. To pretend that He’s a nonentity. To suppress the truth about His power and glory and holiness. To go our own merry way without regard to Who God really is. But the LORD will not be trifled with. He shows up again and again in the story of the world to make Himself known. He’s interested in bringing glory to Himself. Now when I try to bring glory to myself, I get into trouble. Because I’m just not worth glorifying. But when the LORD does it, He deserves all of that glory, and it would just be wrong to deny it to Him. In fact, it’s what’s best for us. There is nothing better for you and me than to receive the revelation of the glory of God. Just knowing that is the greatest thing there is. Our church exists to bring people into a life-changing relationship with God through Jesus Christ. In other words, to know Him and to make Him known. Do you know Him? And are you making Him known? Meanwhile, the officials of the king of Aram advised him, ‘Their gods are gods of the hills. That is why they were too strong for us. But if we fight them on the plains, surely we will be stronger than they. How was their post game analysis? Well, they have a pretty good strategy. With their bigger numbers and all of their horse and chariots, it makes sense for them to engage the Israelites on the plains instead of on the hills. But, their theological analysis is all messed up. They believe that the gods of Israel are gods of the hills. But they are not gods of the plains or the valleys. So, Aram will win if they fight where their gods have the homefield advantage. What’s the problem with that assessment? Do you see God’s logic? He is not fighting right now for the glory of Ahab or because Ahab has made wise choices or because Ahab might get rid of the Baals if he sees Yahweh at work. He’s fighting for the Israelites because the Arameans need an adjustment to their theology. The Lord does not want to be discounted. The world does that all of the time. God is the God of Sunday mornings but not Monday mornings, right? God is the God of women and children but not the God of real men. God is the God of grace but not of holiness. The world loves to discount God. To put Him in a box and see Him as something you do on Sundays, maybe. But He is not Lord of all. Of course, we laugh at these Arameans, but we do the same thing sometimes, too, don’t we? We don’t say it. But we act like it. Dale Ralph Davis in his book on 1 Kings puts it this way, “[This] theology simply says that there is some turf beyond the reach of Yahweh’s power. And we easily slip into this mentality, contrary to our expressed beliefs. We may catch ourselves assuming that God is at work in religious things but not in routine things. Or some have had a wretched and perverse past that has left multiple scars; they are such victims of their experiences that they can expect, they say, no change, no deliverance. The Holy Spirit may regenerate and sanctify more kosher folks, but, one of these will say, he cannot do anything with the absurd medley of genetics, environment, and folly that have made me the twisted mess of hopelessness that I am. Yahweh is only the god of the hills. And then one sometimes meets this attitude in a small church of forty or fifty members, most of whom are age sixty and above; we can’t expect God to do anything in us or among us; we are growing older, we’ve not younger couples or children; we can’t muster up any revival starter-kit like larger churches can do. We can’t expect God to stir us–he’s not a god of the valley” (The Wisdom and the Folly, pg. 287). How do you discount the Lord? How do you compartmentalize Him, setting Him over here, but not over here? God will not be discounted for long. He wants to be known and known fully. Why? Why would I think that? Because God is not the God of hard cases?! He’s the God of easy cases only? The men took this as a good sign and were quick to pick up his word. ‘Yes, your brother Ben-Hadad!’ they said. ‘Go and get him,’ the king said. When Ben-Hadad came out, Ahab had him come up into his chariot. Ahab has won, but he’s actually lost. Because the battle was not Ahab’s. The battle was the LORD’s. So that means that this royal prisoner was not Ahab’s prisoner, and certainly not Ahab’s “brother,” but the LORD’s prisoner. And Ahab should have known what to do with him. But Ahab was taken in by the royal sweet-talking, and failed to obey the LORD’s command, showing clemency when he should have required justice. So Ben-Hadad lives to fight another day. We’ll see him again. But now, it’s time for Ahab to be confronted with his disobedience. The LORD has an illustrated message about obedience for Ahab. And He’s going to require obedience from everyone in the chain of this illustrated message. The guy dies by lion bite to remind us that the word of the LORD is serious. We saw that back in chapter 13. The word of the LORD is serious. The LORD wants to be known. And He does not want to be disobeyed. The point of this death by large feline is that it is not safe to ignore the word of Yahweh. It’s weird, but He got our attention didn’t He? God’s word is not a game. We’re not a playing a game up here with this thing. The LORD does not want disobedience. He wants obedience. And He’s serious about that. Some of the scariest words to ever come out of Jesus’ mouth were “Not everyone who says to me, 'Lord, Lord,' will enter the kingdom of heaven, but only he who does the will of my Father who is in heaven. [To those who live lives characterized by disobedience...] I will tell them plainly, 'I never knew you. Away from me, you evildoers! '” (Matthew 7:21-22). Is there some area of your life where you know you are disobeying? Actively disobeying the Lord? I don’t just mean sin. We all sin. But you know what the Lord says in this area, and you are just not planning to do that. That’s a scary place to be. You don’t want to live there. The LORD wants to be known, not to be disobeyed. Here’s the question. When you are confronted in your disobedience, how do you respond? What did David do? He repented. He confessed! And he found the blessing of God’s forgiveness. He found the blessing of God’s grace to undeserving sinners. But that’s not what Ahab did. Ahab sulked. Ahab was a sulker. That was his downfall. Kicking a can with his hands in his pockets the whole way. Ahab won the big battle, but he was still a big loser. When the Lord puts His finger on some area of disobedience in your life, don’t ignore him. Don’t neglect Him. Don’t disregard Him or discount Him. Confess your sins and follow Him by faith. Because the LORD our God desires to be known. Three Years of "Resisting Gossip"
Aww. 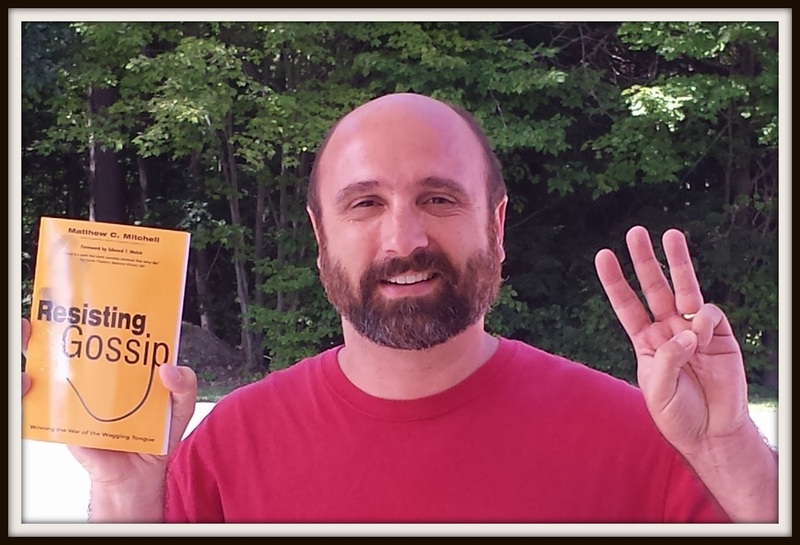 Our little book turns three today! It's hard to believe, but Resisting Gossip: Winning the War of the Wagging Tongue was released on September 3, 2013. Yesterday, I went through all of the posts on this blog marked Resisting Gossip, and reviewed what a wonderful adventure it has been over the last twelve months. This year has definitely been a quieter year than the previous one when we had the release of Resisting Gossip Together, the ten-part Resisting Gossip Video Teaching Series (free online! ), and the Spanish translation Resistiendo El Chisme (remember that time it was on Colombian national television?!?!). But even though it hasn't been as busy, I am still amazed at how far Resisting Gossip has traveled and thankful for how it continues to have an effect on people's lives. A year ago, the French version, Résister à la médisance was released in both France and Canada. I got to actually be present for the Canadian release. Dave Almack of CLC Ministries and I traveled up to the beautiful city of Montreal where I got to meet Antoine Roberge and the rest of the CLC Canada team and share the message of my book through a translator. In a word, this experience was "Merveilleux!" The next international stop was an article in the Welsh magazine originally titled, "Y Cylchgrawn Efengylaidd," or in English, "The Evangelical Magazine." They published an adapted form of chapter 6, "Instead of Gossip: Listening." 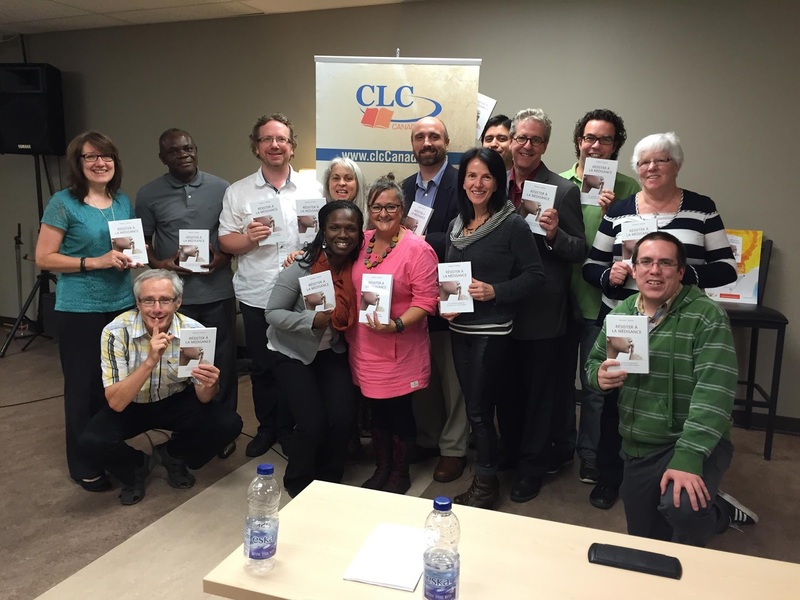 Thank you to CLC Publications for giving them permission to share this with their readers. In between those two international events, I had the privilege of presenting a breakout seminar at the CCEF National Conference entitled, "Behind the Back: When Gossip Distorts Side-by-Side Ministry." 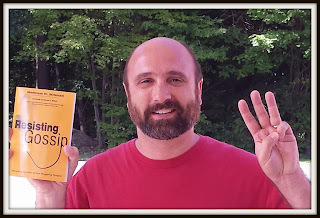 Speaking at CCEF was a "bucket list" level event for me and brought Resisting Gossip full circle as it started its life as a doctoral project encouraged by Ed Welch. I spoke to a room full of highly-engaged listeners who asked great questions to interact with what I had to share. I would do it again in a heartbeat. In January, I had the opportunity to present the Resisting Gossip Seminar and preach at Hope Church in Spenser, Iowa which is pastored by my friend Russell Muilenburg. Russell wove the seminar into a sermon series he was doing on "Taming the Tongue" for which he interviewed me. I'm encouraged that Resisting Gossip continues to be a bestseller for CLC Publications, and I still get emails and mail from readers who are being helped to fight the good fight against this pernicious temptation. 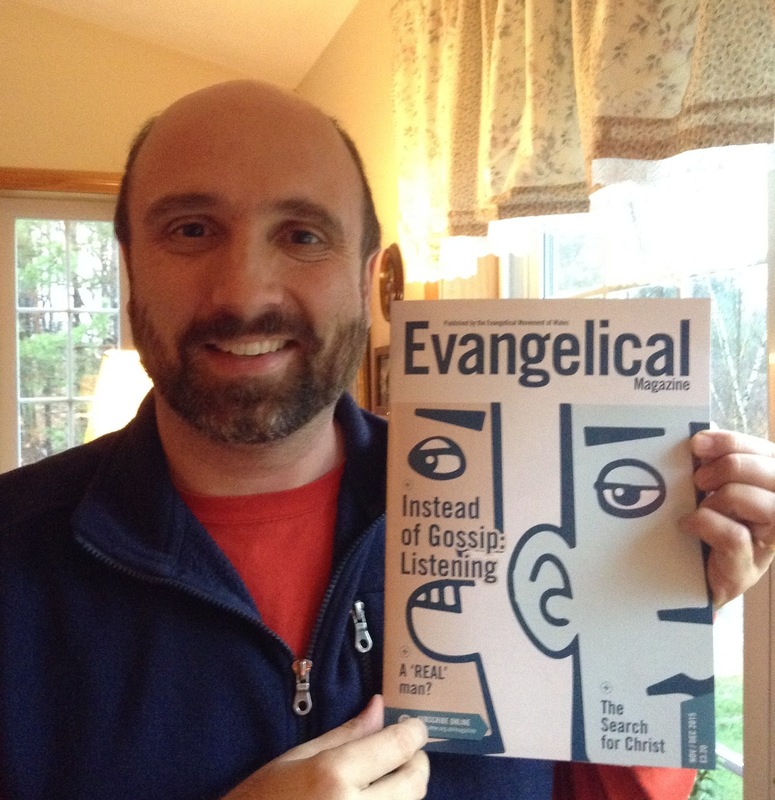 I'm so glad that we went with CLC as our publisher, especially because of their international missions outreach. In April, I was invited to be the speaker for their special 75th Anniversary Celebration at their annual conference in Philadelphia. What a joy to be with those precious people who pour out their lives to get solid evangelical literature into the hands of the nations! The good folks at CLC tell me that the Russian translation has been completed, and they hope to release it this Fall and that the Korean translation is in the final stages of translation and may even be out this month. How exciting to think about the impact of our little book on people around the world.